The Serie A giants Inter Milan have reportedly “explored” the possibility of signing Arsenal midfielder Mesut Ozil, according to The Sun. The 30-year-old was left out of Arsenal’s squad completely for Sunday’s derby against Tottenham, which the Gunners put down to a back spasm suffered in training. With uncertainty surrounding Ozil’s future, the report suggests that Nerazzurri are among the clubs ready to make a move. 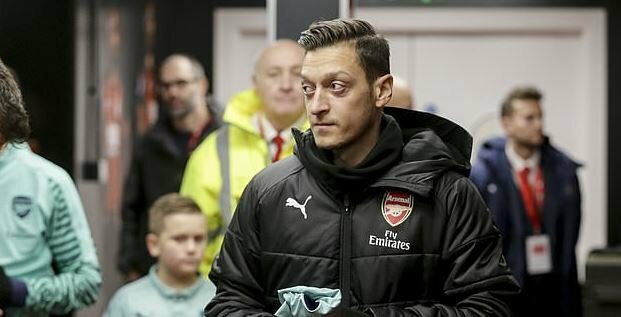 However, Ozil’s £350,000-a-week wages could be an issue for the Italians, who have held a long-term interest in the ex-Germany international. The Gunners will consider any offers tabled for the playmaker, it is reported, despite offering him a new long-term contract earlier this year. Posted on December 3, 2018 by Sammy Jakes.